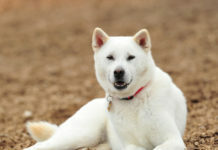 They are most commonly known for being hardy, affectionate, adaptable, friendly and active. 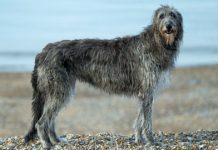 This breed has been around since the late 19th century (and possibly earlier) in East Anglia, England. 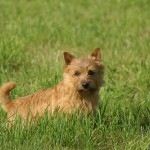 It is believed that they were in the area since the 1860s and were descendants of Irish Terriers. 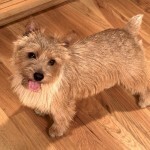 They were found to be useful in chasing rats and foxes, and as being family pets. 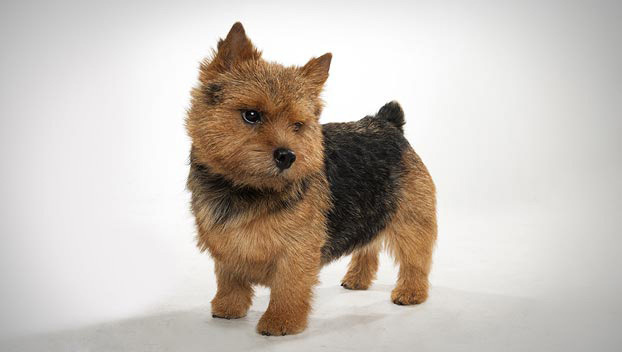 In the early 20th century, they went by different names, including “Jones Terriers” after Frank Jones who helped develop them. 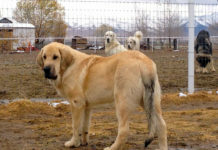 Slightly later on, the dogs moved to the United States, along with Frank Jones. 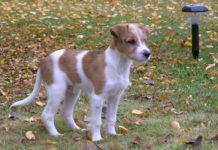 Because of their smaller size, they were very helpful to hunters who used them to go after the game after the latter went into their dens, which could not be reached by other hunting dogs. 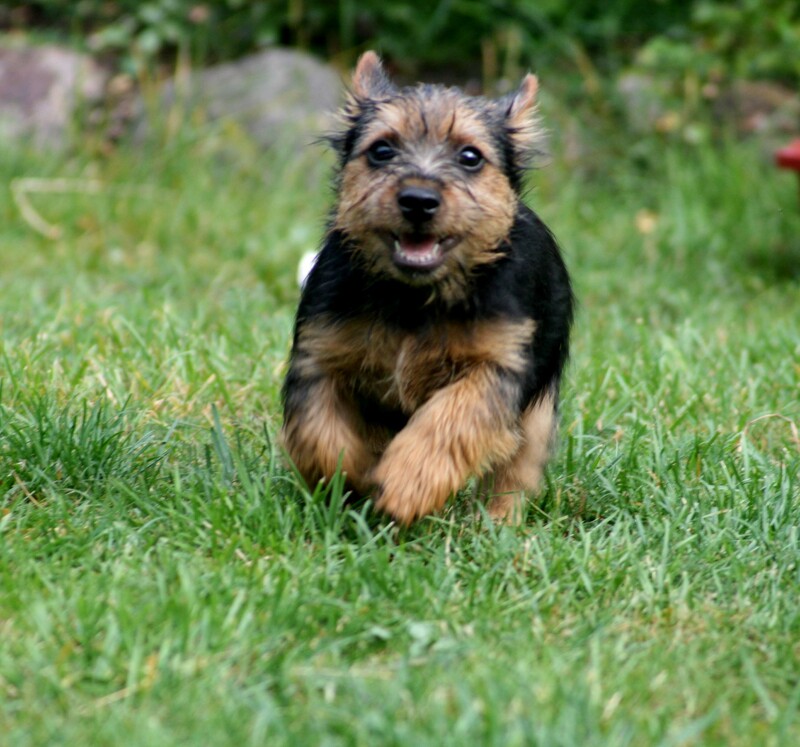 In the 1930s, kennel clubs began to recognize that puppies often had drop-ears or prick-ears. 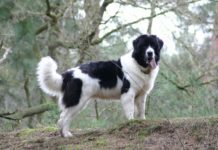 For awhile, there was some controversy regarding this, but they are not generally recognized as being two different breeds now. 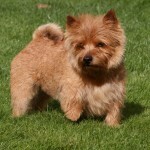 They are very healthy, and do not have any significant medical or health issues specific to the breed. 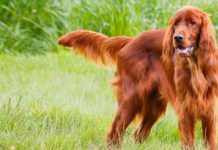 They are subject, however, to cataracts, epilepsy, narrow tracheas, luxating patellas, mitral valve disease, hip dysplasia, allergies to airborne irritants, and incorrect meeting of the teeth (when the jaws are closed). 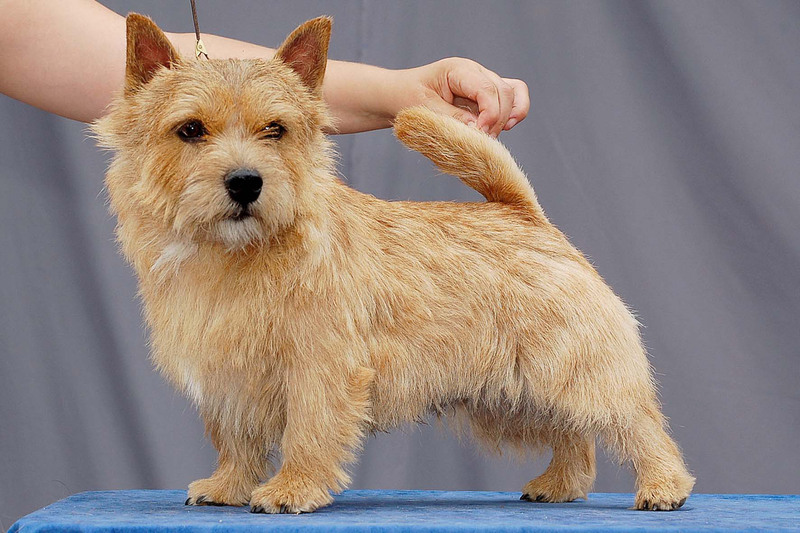 Perhaps because of their predisposition for having narrow tracheas, breeders are seeing a surprising number of these Terriers having breathing problems. 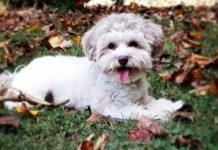 They have a wide range for a lifespan but perhaps the most accurate average or expectation is between 13 and 13.5 years. 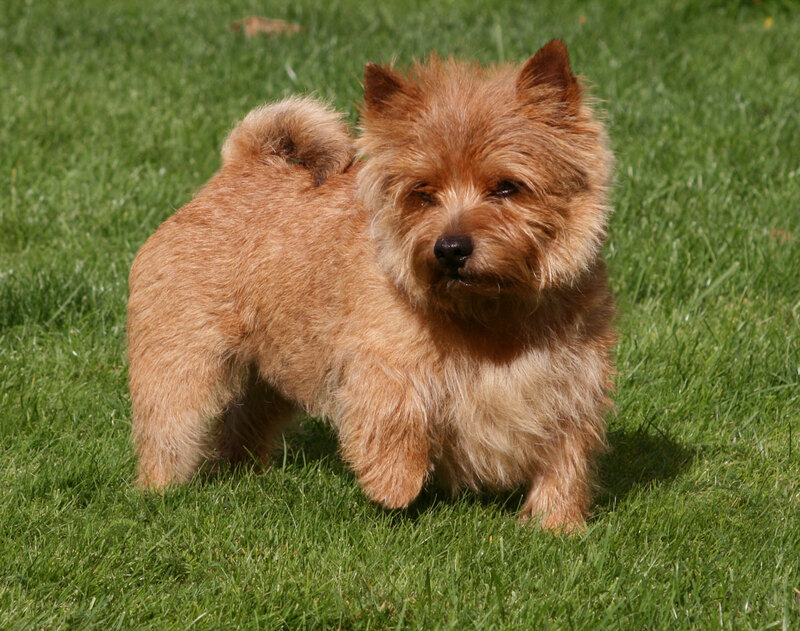 Norwich Terriers have energetic, hardy, affectionate, sensitive and intelligent personalities. 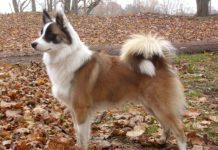 They are active and hardy dogs, bred for the chase, and so are in need of a good daily walk or run. It is better if this is done twice a day. 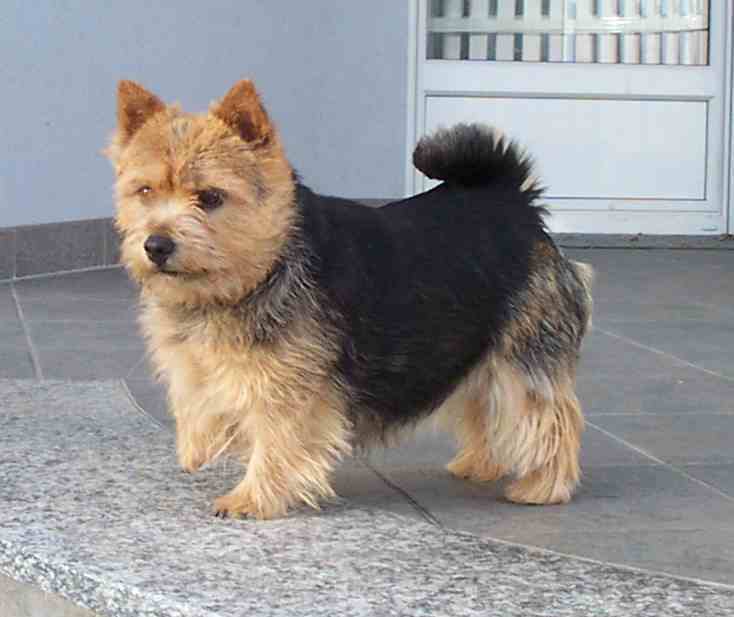 They were bred as working terriers, and should receive at least one full hour of activity each day. 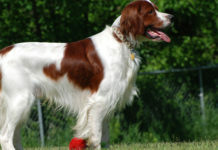 When they compete in sporting events, they excel in Agility and Flyball contests. 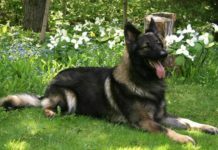 They can be difficult to train, and usually need to be rewarded with treats or attention, as they do not have any self-motivation. 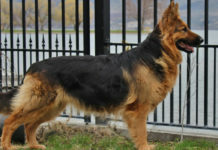 It is even more difficult to housetrain them. 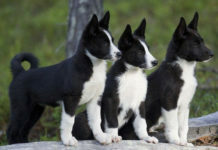 They would be in need of firm and dominant people to train them. 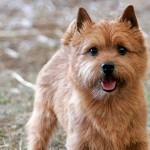 Norwich Terriers tend to not bark or yap as much as other Terriers do, and they dig far more than do other dogs. 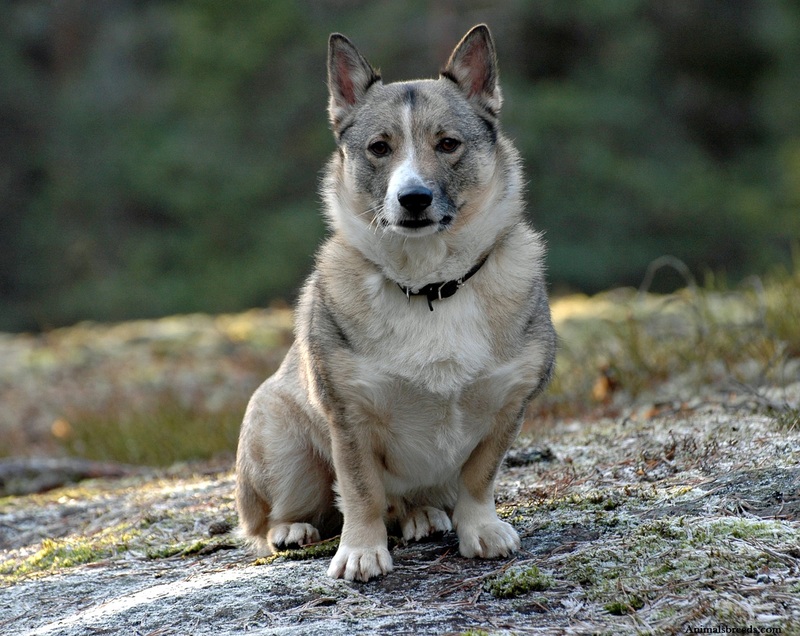 This is as a result of their historical use in hunting, chasing and retrieving game animals. 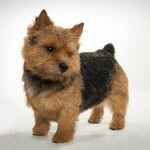 They have a tough and outgoing look, even though they are small, though sturdy. 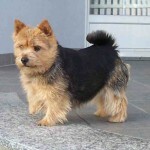 They have slightly rounded heads, dark eyes, erect ears, sturdy necks, short backs and strong, though little, legs. 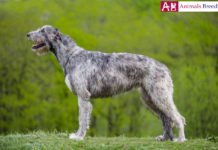 They have a hard and wiry, yet straight, outercoat covering a soft, insulating and downy undercoat. 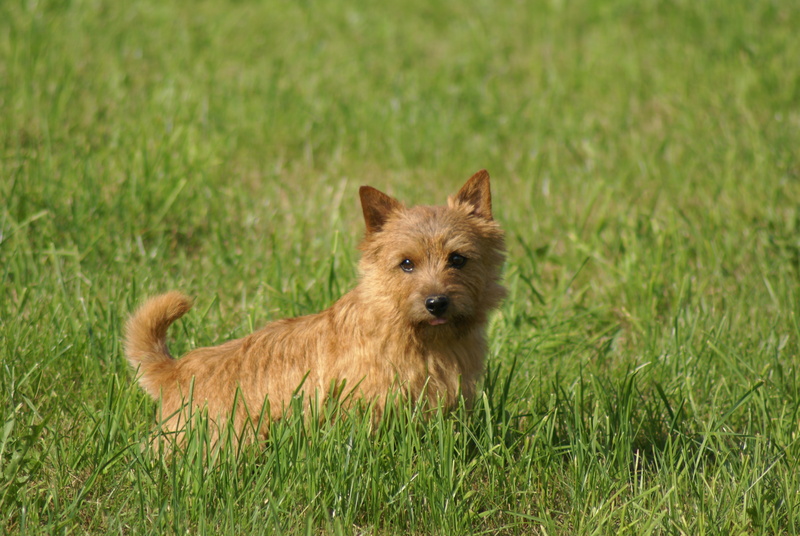 The colors can be red, wheaten, pale yellow, fawn, black & tan, or grizzle (a combination of white hairs with black or red hairs). 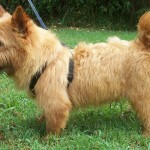 They do not shed much, but need to be brushed weekly to remove dead hair. 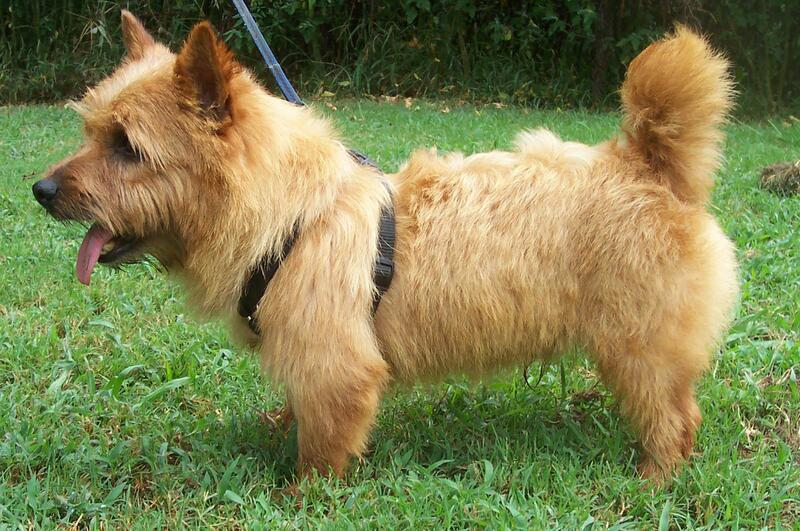 They need to be bathed only when they are noticeably dirty or smelly. 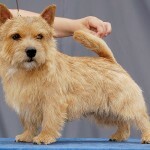 Something that may be unique to Norwich Terriers is that the dead topcoat fur needs to be pulled by hand, along with a stripping tool, twice a year. Doing this will maintain the hard and necessary texture. 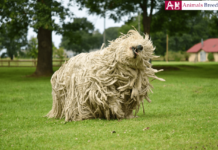 Without this, the dog will appear scruffy and will shed more. 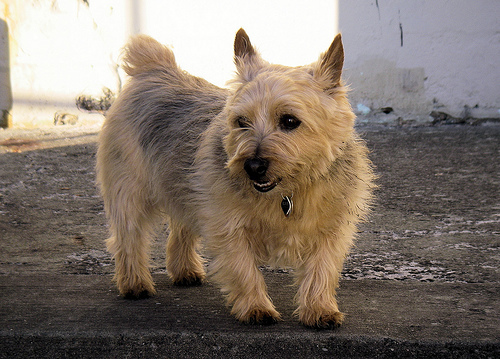 The body type is similar to that of all dogs in the Small dogs breed. 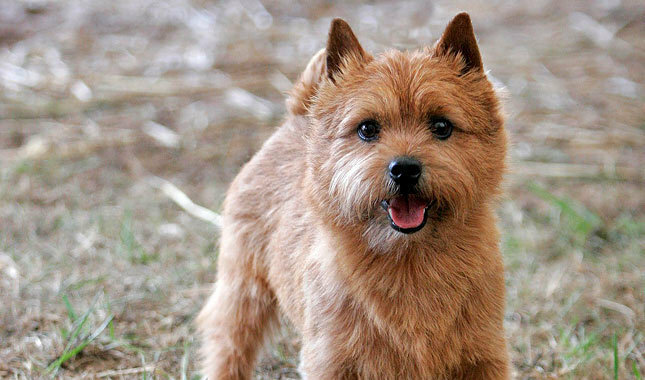 Norwich Terriers are very good with children, especially older children. 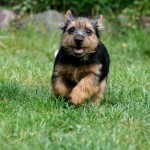 They can be good with cats if they are properly socialized; if not then they will chase the cat. 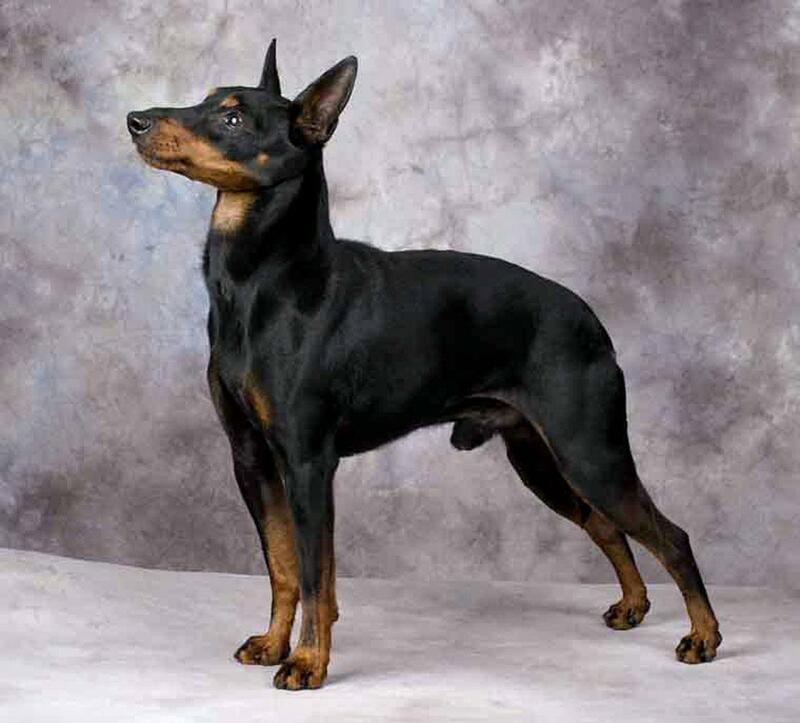 They are excellent around other dogs. 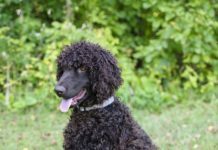 They do poorly in regards to training and housetraining is a long and arduous process. They are average in shedding. They do not make for an effective watchdog. 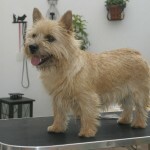 They are ranked below average in grooming. They are average in terms of popularity. 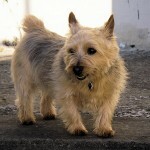 They are ideal for retirees, city-dwellers and families. 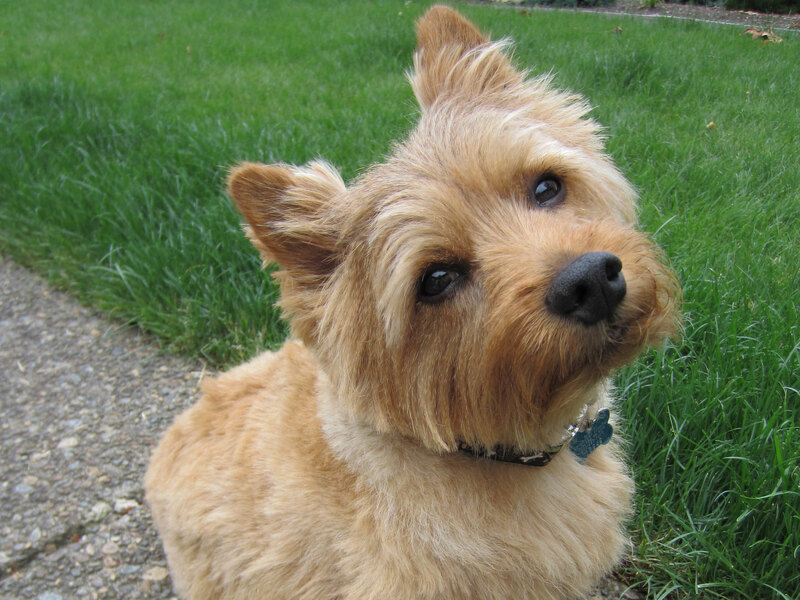 It is important to remember that Norwich Terriers need at least one full hour of activity each day, and for you to groom them properly and completely to keep their coats manageable and to find possible infections in time. 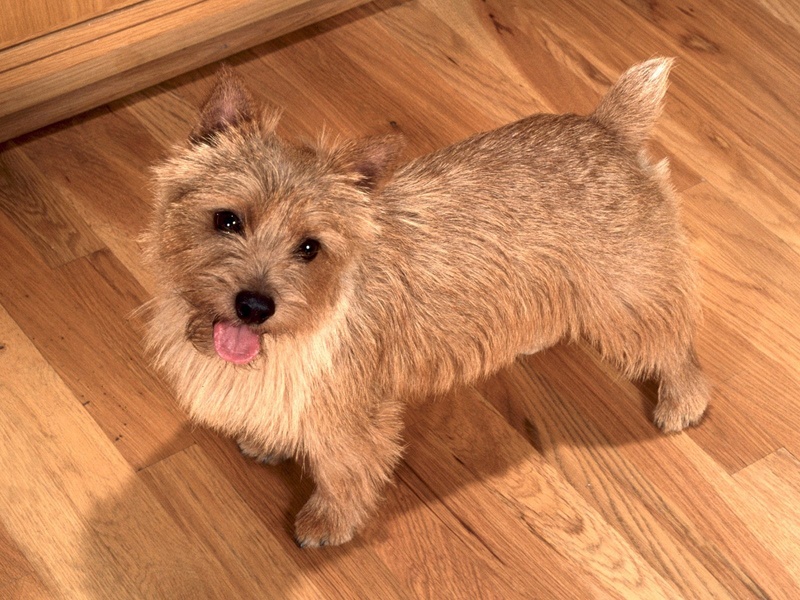 For the Norwich Terrier, the recommended feeding is two daily meals for a total of 0.5 to 1 cup of high-quality dry food. 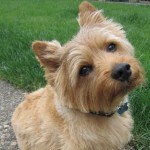 It should not be more than this as they have voracious appetites and can become obese easily. 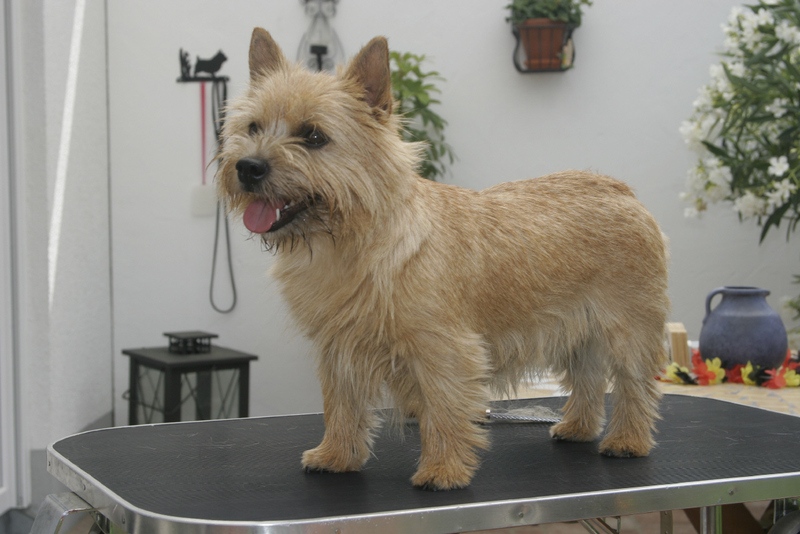 To ensure that your dog is not becoming overweight, place your thumbs along its spine and fingers pointing downward. If you can feel his ribs without pressing hard then this is good. If you cannot feel his ribs then he needs a smaller diet and more exercise. If you can see his ribs then he needs to eat more.